1. Brain Breaks with GoNoOdle? To stay focused and engaged, students need brain breaks. How often? It depends on the type of instructional activities they are involved in. If the instructional activities involve movement, then they need fewer brain breaks. To stay engaged students need movement every 15-30 minutes depending on their age. GoNoOdle is designed for elementary age students. I would mention the fact that even though the phrase “brain break” suggests that the brain is not involved in movement, students’ brains do not take breaks but make use of different parts. The brain researcher, John Medina explains very well how movement can greatly influence work productivity and academic performance in this 3-min YouTube video. For additional tips, check out his cool website here. GoNoOdle is free and signing up for an account takes just about half a minute. Before I created a class, I used the demo class. When you create a class, you just give it a name and indicate how many students are in your class. Then you choose a mascot, called “Class Champ.” To sign up, click here. See below our Class Champ; we are on level 2, already! After you click PLAY, it will take you to the menu, and you choose the brain break you want your class to enjoy. One of the cool things about GoNoOdle is that students can see how many minutes they earn by playing brain breaks and they can see their Class Champ growing as a result of them taking brain breaks and being active. 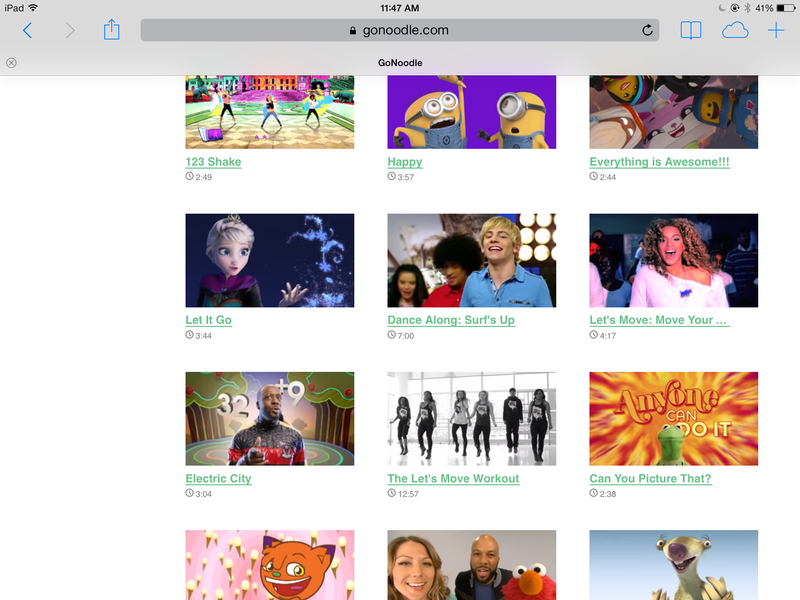 Rather than hunting for brain breaks all over the web, by using GoNoodle you find them in the same place. Additionally, GoNoOdle claims that many of their games are aligned to core-subjects like math, spelling, and vocabulary. -to help them calm down. GoNoOdle provides a variety of fun brain breaks and activities, such as stretching, Zumba, 100 meter sprint, Hoola Hooping, Counting by 5s, songs, deep breathing exercises etc. ; I would say, they are also synced with the latest trends in terms of music, games, and activities. For instance it even has Elsa’s Let It Go song (Frozen), Happy, or The Continental Drift. My kids loved it soooo much! Calm the classroom or energize your students depending on the time of day. Take a look at this YouTube video for a quick overview. You can register for free. Before stumbling upon GoNoOdle, brain breaks were still an important part of my instruction. 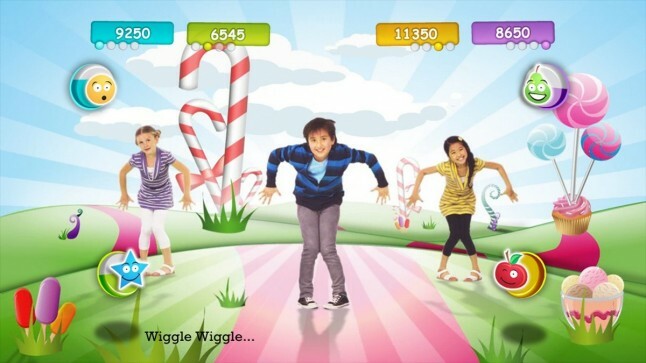 My favorite resource to use was the Just Dance Kids YouTube videos. Just Dance is a game developed by Ubisoft. Users mimic the movements of onscreen dancers with the Wii Remote. It features a variety of songs and popular artists. For brain breaks, the teachers at my school enjoy using the YouTube clips which proved to be very energizing and loved by kids. Just Google YouTube and then type in “Just Dance Kids” and you’ll come across them. The following are my favorite ones, but kids you can let the kids take the lead and pick their favorite ones once you get it started. For additional resources, you can check out YouTube energizers here, or brain breaks by subject here. This entry was posted in 21st century skills, Educational Technology, Instructional Strategies, Second Language Learners, Video Tutorials and tagged brain breaks, energizers, Go Noodle, GoNoOdle, Just Dance Kids. Bookmark the permalink.